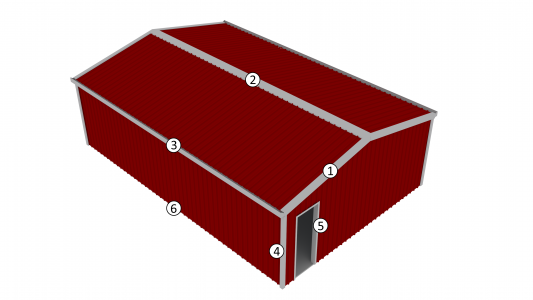 The panel frame shed is the simplest and easiest to construct and has many benefits over traditional portal frame designs. 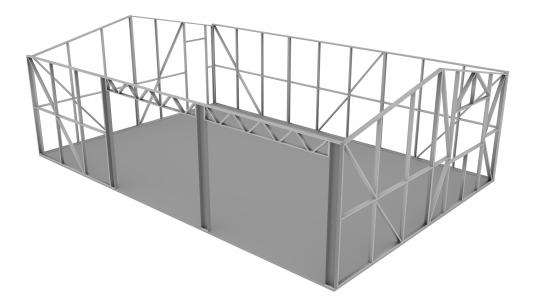 The Mecano Steel Stud Framing System simplifies the construction process. 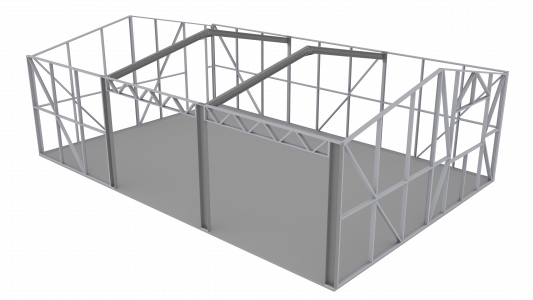 As with all Mecano frames, there is no cutting or drilling required. The frame simply tek screws and bolts together. The kit is supplied with an easy to follow instruction manual. 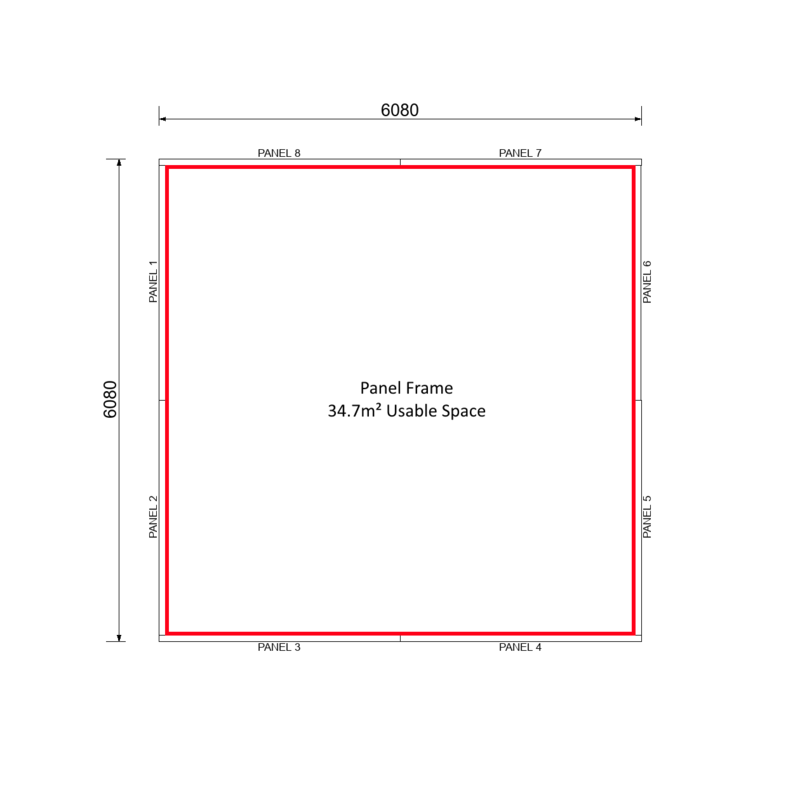 Options to allow for internal lining. 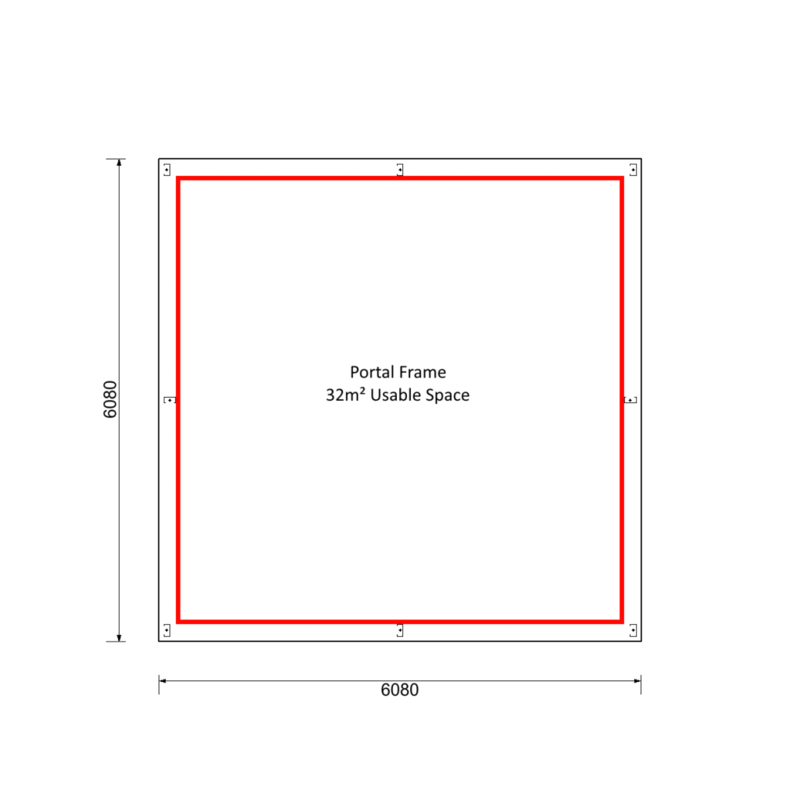 Because the portals and girts are integrated into the frame, a panel frame shed has more usable internal space as there are no protruding columns or end wall mullions. Wall Panels simply tek screw together. 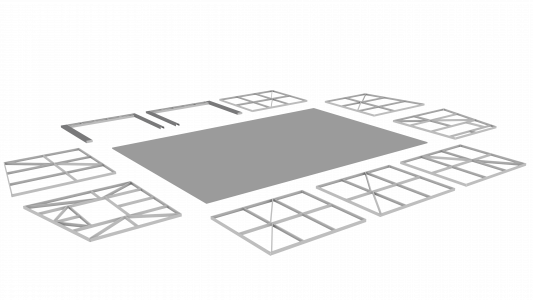 Frames are dyna-bolted to the concrete slab. 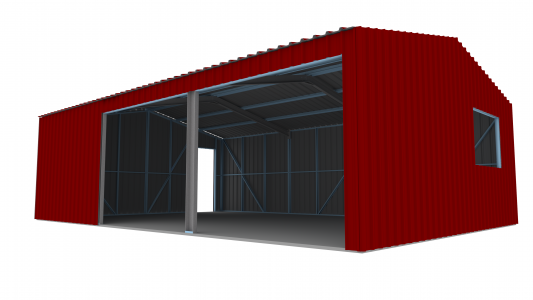 The Instruction manual will include a job specific wall layout detailing the location of the stud panels, head beams, roller door jambs and rafters. Rafters simply bolt together and are fixed to the top of the wall panels. 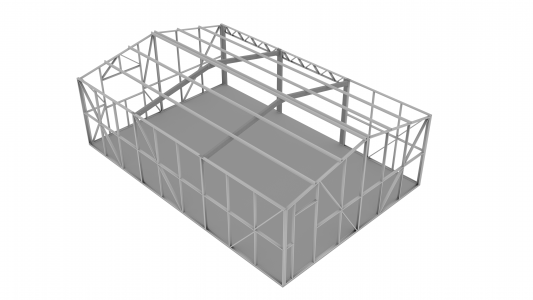 Alternatively, Trusses can be used instead, which are easily bolted to the existing wall panels. 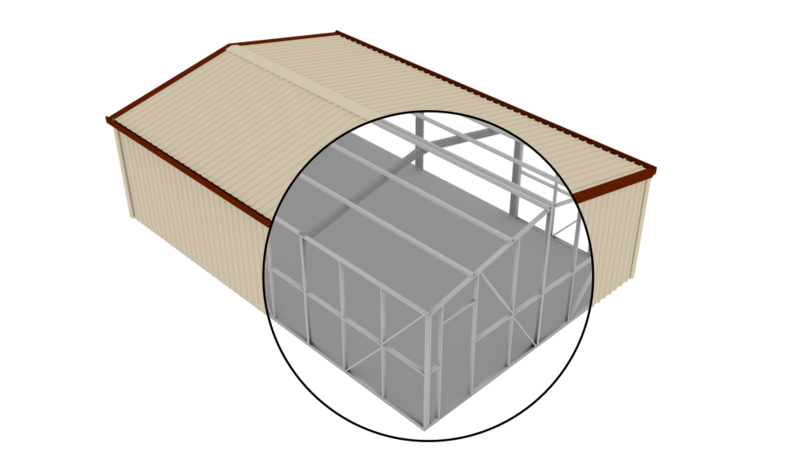 Top hat roof battens are fixed to the mid rafters and the end wall panels. 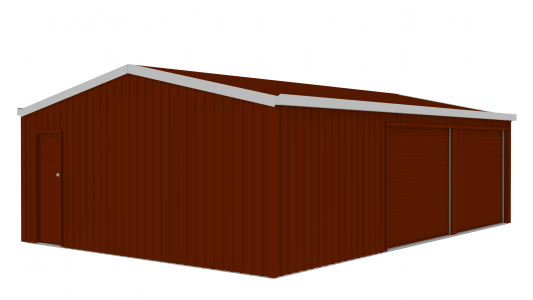 Attach cladding to manufacturers specifications. 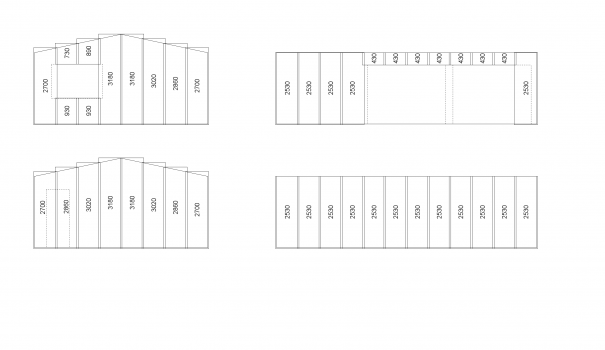 The instruction manual details the position and length of all wall cladding. Please Note: corner flashing, ridge cap and door flashings are shown in grey for illustration purposes only. 7. Roller Doors, Personal Access doors and Windows. Roller doors are simply bolted to the back of the C-sections mullions. Pa door and window openings are pre-programmed into the precise stud panel frames.